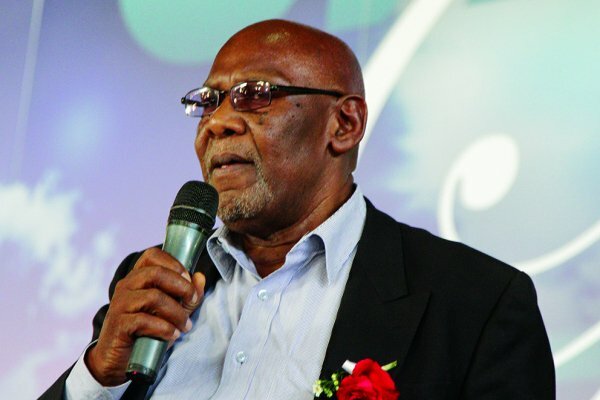 DUMISO Dabengwa’s Zapu has cast doubt on President Emmerson Mnangagwa’s sincerity in dealing with Gukurahundi after the Zanu PF leader pledged government assistance in the exhumation and reburial of the victims. Mnangagwa, through Justice ministry permanent secretary Virginia Mabiza, announced that government would facilitate the exhumations and reburials and issuance of identity documents to survivors. The President also undertook to offer medical assistance to survivors. The President said in a bid to appease the aggrieved, government would also attend to social service delivery issues in Matabeleland such as underdevelopment, devolve government processes and extend the lifespan of the National Peace and Reconciliation Commission. Mabiza was, however, evasive when asked whether government now acknowledged the atrocities to a point where it would offer an apology, facilitate truth-telling, restorative justice and compensate the victims, preferring to say what was important was that engagement had begun. She was also evasive when questioned on the issue of the budget to deal with reburials and exhumations among others. Zapu was not amused, with party spokesperson Iphuthile Maphosa, saying this all, but showed that Mnangagwa was insincere. “Mnangagwa can never be sincere on Gukurahundi because it is on him. How does a mosquito invent a cure for malaria and compensate those it already killed? That’s why this whole discussion rushes to healing while glossing over acknowledgement, responsibility taking, justice and reparations. It’s all a huge joke and Mnangagwa is simply continuing with his deception as he buys time in as far as facing justice for Gukurahundi is concerned,” Maphosa said. Bulawayo-based pressure group Ibhetshu LikaZulu, that has also been vocal about the emotive issue, said: “The sincerity of government to bring closure will be questioned” as long there is silence on compensation and truth telling. “Government must first acknowledge that this was genocide, encourage truth-telling, the surviving brigade commanders and security officers that implemented the annihilation of their fellow countrymen must come out in the open, apologise, show remorse and seek forgiveness from the survivors. This initiative, without truth-telling, is empty,” Mbuso Fuzwayo, Ibhetshu LikaZulu secretary-general, said. The Zimbabwe Christain Alliance (ZCA), applauded the move as ‘a noble and bold step’ to seek redress over the sensitive issue, but said government should consult the victims so that they have a sense of ownership in the whole process. “The healing process is very long. This is a good initial start, but it is important to give the victims urgency on how they want the process to go, we must never leave out the victims,” ZCA executive director, Useni Sibanda said yesterday. “It’s good government has taken the initial step of reburials, but the process of closure and healing involves truth-telling as to what happened. Some people are not keen on compensation, but just to hear the truth. It’s a good start, but there are many things to be done,” he said. About 20 000 people are reported to have been killed during the massacres perpetrated by a North Korean-trained army unit, the Fifth Brigade, in Matabeleland and the Midlands provinces in the 1980s. The post ED should apologise first: Zapu appeared first on NewsDay Zimbabwe.